Once again, my apologies for making this year’s Watchlist reviews a longer and more drawn out effort than in the past. Normally I’m done end of March. This time its going to be not end of July as I thought but probably closer to middle of September. While it takes out some of the drama and momentum, I hope the reviews give both you as readers and the companies being reviewed, who are winners of the Watchlist after all, some value. If they don’t, my bad. All that said, I’ve reached the stage in the reviews where the rest of them are not really companies I can group. Each kind of stands on its own. So please then, understand, that Blackbaud and Gigya have little in common other than they are software/services technology and they both won the Watchlist. But each is pretty damned singular in their respective fields – and exceptionally good at what they do. This is not just an 800-pound gorilla but is King Kong, though so far has had a much better life with no ending on the Empire State Building in sight. They are a dominant company in the world of non-profit technology. While I don’t know what their market share is relative to others in their space other than “BIG; VERY BIG”, I can give you some anecdotal idea of what I’m talking about. Several years ago, while doing a review of one of the CRM Idol companies who happen to be in the non-profit tech sector, I asked them who their target market was. Their answer “anyone that Blackbaud doesn’t want.” True story. I do know that their revenue for the 1st quarter of 2015 was a 15.2% increase from last year at that time to $147 million, meaning a run rate of $588 million and the year is just starting. That is, according to Blackbaud, one eighth of their addressable market and maybe 5% of the total market. The only reason I’m throwing numbers at you is to give you a sense of how significant this fascinating company is the in non-profit market. Keep in mind what we mean here when we are talking non-profit organizations. Pretty much the only thing they have in common when it comes to their actual missions is that they have a 501(c)(3) tax status with the IRS if they are a U.S. non-profit or the equivalent in the other 59 countries. To underscore the point, here is a look at a representative sampling of Blackbaud customers – American Red Cross, My Friends’ Place (Hollywood), University of Virginia, World Wildlife Fund. You get the picture? How do you serve all these highly differentiated constituency-based interests? Yet, Blackbaud does this and is a top of mind company in this particular sector. There are multiple reasons that they’ve achieved the impact they have — which I’ll outline shortly — but you are talking a true beast of a company. That said, of course, there are things they aren’t doing that they should to expand that total market and their presence in it. But all in due time. Aside from a highly diverse and experienced management team, this is a company that has a clear cut – and I mean crystal clear – vision, mission, strategy and then proceeds to exceed accordingly – a highly aligned company. What do I mean by a highly aligned company? Let me put it this way. The lowest possible level of understanding this is in the word “defensible.” That means that what a company says is defensible – proven by what it does. As I think, in this age of authenticity and transparency – I use the words both without irony but also with sarcasm for their overuse – we all pretty well know that for businesses to succeed, it is necessary to establish trust with its customers and the knowledge that trust is possible with its prospects. That means that, like anything else, you have to be willing to be a “standup” institution and do what you say you are going to do. To show some real consistency in the alignment of a vision and a mission with a strategy and its execution basically says to the customer and prospects – “hey, this company has it together. They not only have a view of the future that I can buy into but an idea of how they as a company are going to help that along AND a plan for that – AND they are doing it!” If the company is in a domain that is of interest, its moths to a light. You have this implicit trust in who they are because they are not only showing you a vision and mission that appeals to little ol’ you but are doing it too! Plus, they are doing it in a way that engenders your trust because following step 1 is a step 2. It doesn’t end at a chasm or some empty void. Blackbaud adheres to this in a big way. To give you an example, their vision is “to power the vision of philanthropy from fundraising to outcomes.” While not as elegant as EY’s “building a better business world”, it is a clear exposition of what they see and it has that other quality that goes along with a vision’s magical foresightedness – the customer’s/prospect’s willingness to buy into the vision. It is a vision that a non-profit can see happening down the road. This is an operational strategy to be sure and honestly, if that’s all there was, so what? They want to make operational improvements to their company, like any company. But Blackbaud also engages in the sector that they service in a huge way. They work with the Clinton Global Initiative; they provide Business Doing Good – web resources for small to mid-sized companies to establish give-back programs; they provide company wide, employee-chosen grants to communities in areas they have offices in; etc. I could go on because there is a lot more, but it gives you an idea. Their product and services retain this consistency too. If they are powering philanthropy from fundraising to outcomes, then they have a wide range of products and services that they have to provide to make this a seamless effort for the non-profits to be able to achieve those outcomes. They have an EXTENSIVE product suite and platform that covers the gamut of non-profits both in size, in deployment need and in outcomes required. In the CRM part of their business alone they have four products – each of which has a different function from midsized to large non-profits with variable delivery needs (Raisers Edge) to cloud based “multichannel” CRM (Luminate CRM) to an enterprise level platform (Blackbaud CRM) to small and simple cloud delivery (Etapestry). I hesitate to call this an ecosystem for reasons I’ll explain below but let’s at least say it’s a relatively complete product offering that serves the market they address, though not the total market they speak of. That would call for an ecosystem that they don’t have or even think about at this point. All in all, too, its consistent with their vision, mission and strategy, and that is far and away, a mission critical win. In the interests of space and my own personal laziness, I won’t detail the thought leadership or partner programs here except to highlight two things. Their partner program has one thing I want to highlight that I think is a paradigm, not almost one, for other companies. In October 2014, they announced a Consulting Partner Program that is designed for providing independent consultants with the tools, materials and certifications they need. Other than Microsoft who is perhaps the most brilliant company when it comes to both overall partner programs and their independent consultant approach, Blackbaud is the only company I’ve seen who works at making this important in their partner configuration. So what am I saying here? I’m saying that this company has the impact it has because it knows what it has to do to have it – and then proceeds to do it. Which makes it trustworthy for its future and current customers too. Of course there are things that they don’t do that they have to in order to continue that 15-20% year over year revenue growth. Or escalate it. What would that be, you ask in amazement? I thought they were nearly perfect. Ahhhh, I say in response, I’m so glad that you inquired. Consider other strategic platform partners – Luminate CRM, which Blackbaud touts as its cloud based multi-channel CRM solution is built entirely on Salesforce1 and sits in the Salesforce App Exchange as one of its many applications. While I think it was a good idea to build a product on Salesforce1, I’m not 100% sure I’d be marketing that product as a core product, especially given the presence of the Salesforce Foundation. One thing that Blackbaud needs to understand is that the Salesforce Foundation does provide software and services to the non-profits that are in its orbit, which at some point is likely to conflict with the Salesforce Foundation mission. I would think it would be in Blackbaud’s interest to start exploring other platforms that they might utilize. I don’t know if that involves a port, connectors or a whole new product, but companies like Microsoft etc. could lead to a new, somewhat diversified and slightly less risky market. Put optimized money where analyst relations mouth is – This is still their weakest point. They have made their intentions to invest more time and effort with the independent and boutique analysts on top of their well-invested dollars in Gartner, Forrester and IDC. I have seen NO evidence of their effort so far this year – with, I suppose, the exception of the CRM Watchlist, and one briefing for me once. But they are well behind even the industry baseline for analyst relations though they understand their need to do something. This year, 2015, they need to act on it with a program that briefs the independents/boutique analysts as well as the three they do work with. They have no leeway in this matter – if they care to participate in the CRM universe at least. Its been standard practice there for years. They need to at least get up to speed. Think stronger re: ecosystem – This is one that needs to be tweaked only. Blackbaud is peculiar when it comes to their addressable v. their overall market. They get the addressable market. They built an platform, product suite and have an organized ecosystem to take care of it. But there is no apparent ecosystem for them to attack the total market that they think they could have. This is reflected in something that they are doing that is ironically positive – the creation of a marketplace for their partners to highlight and sell their complementary wares – the same approach that Salesforce takes with the App Exchange. But this isn’t thinking in terms of the ecosystem. They need sit down, identify the total market they want to attack – not just what they think the market is – and then based on that (and there is a lot more detail than what I’m suggesting here. Its just way beyond the scope of this post) decide what they need to provide end to end and then see what they do provide and what partners – strategic go to market partners – they need to provide the rest. Its not just an app exchange like market place. That’s tactical. I’m suggesting a strategic, systematic effort. Then they can attack whatever parts of that total market they want to and probably succeed at it. Two years ago, Gigya won the Watchlist, last year they didn’t. This year they did. Breaking my protocol, I want to tell you why Gigya didn’t win the Watchlist last year. Because they actually took my advice. They lost because they took my advice. Which makes me into something of a scurvy heel, now doesn’t it. No, it doesn’t. I swear. Let me explain. What made this a big move – and it was why they didn’t win in 2014 – is that to be the market creator and maker (two different things) takes a lot more than a product. It takes the creation of the content that’s necessary to both identify the market and its differences from existing similar (if any) markets and the content to explain how it all works. It takes the identification of the processes that make it run and the rules and procedures that make it work best. It takes a lot of risk because there is no guarantee that its going to take hold. Witness Partner Relationship Management – a great idea over the years but one that has as of yet to create a sustained market. But it remains a great idea and even has companies that produce quality applications and services for it. So the risk of failure or lackluster success is high. It takes some successes – meaning practitioners who took the risk with you and got worthwhile measurable results. It takes training for sales people who are relearning or learning how to sell into the market. It takes marketing of a different stripe and hue than a company reinventing itself has done before. There is a lot that goes into both creating the market and then making it by being a successful pathfinder of a company. Gigya didn’t win in 2014 because the jury was still out on their success since they were in the early stages of doing it. But in 2015, they won, because, guess what, they succeeded. Not only did they expand their market to customer identity management, but over 70% of the deals they sold in 2014 were customer identity management platform deals. There is no bigger sign of success than that. They have created the framework and impacted the market by their successful sales in it. First, they’ve understood that they are ripping a new segment out of a mature market – which means they had to explain that market to analysts and influencers and even customers who’s first inclination will be to think of them in the IAM space – a highly competitive, been-there, done-that space with a number of longstanding analysts who have covered it and specific thought leadership to explain it and a substantial group of competitors who sell in it. So they had to both develop a vision, mission and message that cohered with the new approach. That they did. Their vision is simple and not all that poetic – “to help business build better identity-driven relationships with their customers.” Their associated messaging is actual around the education necessary for prospects and customers to understand the value that can be derived from leveraging customer customer identity. Their execution is to extend their Connect, Collect, Convert product portfolio. But its the newer pieces and the thinking they reflect that is the important factor here. Connect, Collect, Convert overall take a holistic approach. Connect are products including Registration as a Service (RaaS), Social Login and Single Sign-On and create registration flows including encouraging registration (e.g. gamification add-ons) so customers self-identify and the company that is capturing the registration is compliant (Social Privacy Certification). Collect is the “system of record” for the overall customer identity authentication – their cloud-based Identity Storage Database where the data captured from “Connect” registration is stored. Convert, the products that provide insight into what is now authenticated customer data is where you see how Gigya has transitioned its thinking to bigger markets. They now provide a Consumer Insights Dashboard that reflects the results of what could be complex queries. (If you’re interested in an example of the insights check out the Canadian Olympic Committee example on the Gigya blog). Even more interesting is their new NEXUS Partner Ecosystem. This is an ecosystem of marketing and services applications – over 50 – that Gigya integrates. Gigya is one of those companies (like Thunderhead) that operates as a glue for operational systems that fall under CRM traditionally – sales, marketing and service. What reflects the important transformation of thinking – the one that allowed them to go from a social identity focused IAM provider in a mature market, to a potential market maker around customer identity management is the “ecosystem” thinking that pervades what they do. The customers’ needs are not based on the technology that companies provide. They are based on the goals they have to achieve – and the outcomes that they need to achieve the goals. Technology companies (though the application is broader – that is the subject here) have to be able to show how they provide them with the end to end capabilities to enable the achievement of those outcomes. Since they can’t actually provide everything – the companies need to know what they have to provide. Sadly, that’s the short version. Gigya in part, gets this. Their NEXUS Partner Ecosystem at one level is an excellent reflection and on another level still needs to work to bring the whole thing into alignment. So what is the strength and what is the weakness? As a whole, it’s a combination of tactical alliances and technology integrations. When it comes to the partner structure, however, it does fall a bit short – more on that later. But the ecosystem thinking is there and that is beyond a good deal of the companies that are out there. Align the partner thinking – What is clear is that Gigya has a nascent ecosystem – and, actually to their credit, and kind of oddly to some extent – has constructed an ecosystem around technology integrations that they center. But their partner program is more channel focused, more traditional. To bring the program into alignment Gigya needs to think more strategically – go to market partnerships within their own ecosystem and in other ecosystems. There are several of their technology partners that they cross-pollinate with – no, not like that. I mean Gigya can be part of their ecosystem and they part of Gigya’s ecosystem. Expand the analyst work – Gigya still focuses on traditional analyst relationships – and primarily in the IAM space. On the surface, that seems to be a good strategy. But, given their focus on customer identity management – with an emphasis on the word customer – they need to expand their focus and not in the distant future. That means rather than a somewhat ad hoc analyst program – some briefings of independents some time – or engaging Gartner or Forrester – and leaving it at that – its time for a formal analyst relations program. That means a lot, which I’m not going to detail here – but included in it is regular briefings of a wider group of analysts in spaces associated with customers, not just identity management. Put this all together, make a few changes and you see a company poised to have continued impact for years to come – and potentially a market maker. Something not many companies can claim. 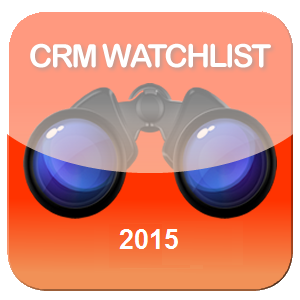 NOTE: CRM Watchlist 2016 registration is still open.If you are interested and want to register for this year’s Watchlist, please email for the registration form at paul-greenberg3@the56group.com. Upon submission of the registration form, you will receive the 2016 questionnaire which is due December 11, 2016 at 6pm Pacific Time. For more complete information, please go here.